Former Israeli Prime Minister Ehud Olmert was cleared yesterday by a Jerusalem court of accepting bribes from a Morris Talansky, an American businessman. Will the American businessman implicated in Israel's political corruption scandal be charged with violating the Foreign Corrupt Practices Act? Morris Talansky has said that over nearly a decade he gave Israel's former prime minister, Ehud Olmert (left), envelopes stuffed with cash that was used to fund political campaigns and pay for personal expenses. On Sunday, Olmert was indicted in Israel for fraud, breach of faith and deception. He had resigned last year because of the allegations. One of the three cases against him, arising from the time he was mayor of Jerusalem and later a government minister, concerns the payments he received from Talansky. The most sensational of the three cases involved Morris Talansky, a Long Island businessman, from whom Mr. Olmert is alleged to have received more than $600,000, partly in cash-stuffed envelopes, from 1997 to 2005. Prosecutors accuse Mr. Olmert of hiding the money and failing to report it to the authorities. Though Mr. Olmert has not been charged with taking bribes in the Talansky case, he is accused of abusing his position as a government minister to promote Mr. Talansky’s private business interests in Israel and abroad, constituting a major conflict of interest. Talansky, 76, testified against Olmert in a deposition in Israel in May 2008. According to the Times, he provided details about "how he had transferred huge sums of cash to Mr. Olmert. Mr. Talansky said that much of the money was for election campaigns, but that some was for Mr. Olmert’s personal use." 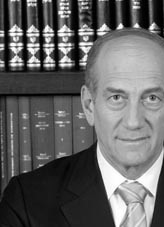 The deposition forced Olmert to resign a few months later. The payments appear likely to have violated the antibribery provisions of the Foreign Corrupt Practices Act (corruptly giving anything of value to a foreign official for the purpose of obtaining or retaining business). Will Talansky be indicted? In January, New York magazine said Talansky could face FCPA charges. “FBI agents are flying all over the place,” the magazine reported. "And U.S. investigators are now using the testimony he gave in Israel as a road map to a possible prosecution." A federal grand jury sitting in New York City was also reportedly looking into possible tax and money-laundering offenses.